Help we need a bigger space! 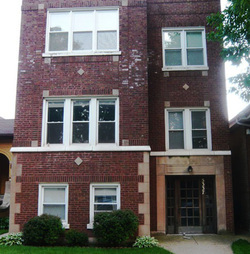 Chicago Ratna Shri Sangha is currently based in a rental apartment on Cullom Avenue in Chicago. We have been in this location since January 2007, shortly after the arrival of our Spiritual Director, Drupon Rinchen Dorjee Rinpoche. This has been a fortunate situation for us and has provided a stable location for us to provide an ongoing schedule of teachings to residents of the Chicago area and to visitors from around the world. We extend our deep appreciation for the kindness of our landlord. 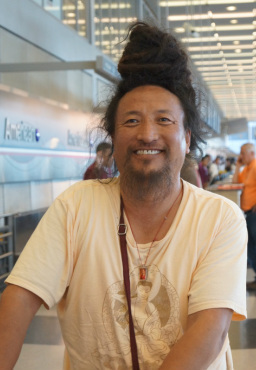 After recently receiving our 501(c)3 tax status from the IRS, Drupon Rinchen Dorjee has made the request that CRSS begin to seek donations specifically targeted toward establishing a permanent home in Chicago. For this purpose we would be looking for an existing property that would provide space for a generous shrine room, additional meeting / living room, sleeping accommodations for (3-4?) resident monks as well as a separate bedroom and bath for visiting guest teachers, kitchen facilities and dining room adequate for cooking and serving large meals, and sufficient bathroom facilities for residents, guests, and students. To this end, we wish to raise the sum of $1,000,000. It is our hope that we will not take on any debt while seeking to acquire this new home. Please help us fulfill the sincere wishes of Drupon Rinchen Dorjee Rinpoche by donating to our Capital Campaign. Your generous donation is completely tax deductible and will help to establish a sacred place to practice and learn the Buddha dharma from fully qualified teachers. Thank you for your support of this auspicious endeavor! *Please note that all donations designated for a special purpose will only be used for that purpose. Donations with no designation will be assigned to the general fund. You can donate by sending a check to the address listed below, or you can donate by clicking the PayPal button right her on this page.